Over the past couple of weeks I have slowly dropped my usage of Chrome. I am now at the point where I no longer use Chrome. I reinstalled a fresh copy of Ubuntu 10.10 and totally forgot to backup my bookmarks. Luckily, Chrome has a built in bookmark sync feature to move that information into my Google account for me. The first problem I ran into was that I had no idea where the bookmarks were syncing to. I would assume that it would sync to Google Reader, but I was wrong. 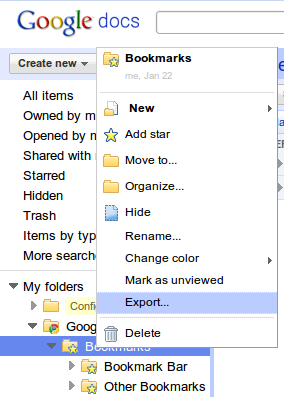 After some perusing, I found that the bookmarks sync to my Google Docs account. To get that bookmarks into my local Firefox install, I logged into Google Docs, right click on the Google Chrome item in your file list and select “Export”. 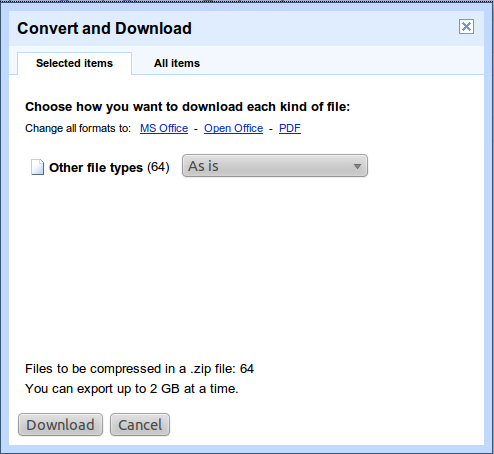 When the new window appears, select “Download”. 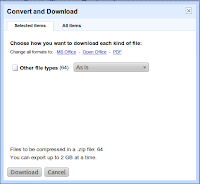 Unzip the file include, bookmarks.html. These are your bookmarks ready for import. In Firefox, select Bookmarks > Organize Bookmarks. On the next screen select “Import and Backup”, then “Import HTML”. Another window will appear and you will need to browse and select the bookmarks.html file that you downloaded and unzipped. That will import all of your bookmarks into Firefox. You can now abandon Chrome without worries. Check out the gallery images for a visual of the instructions given above.